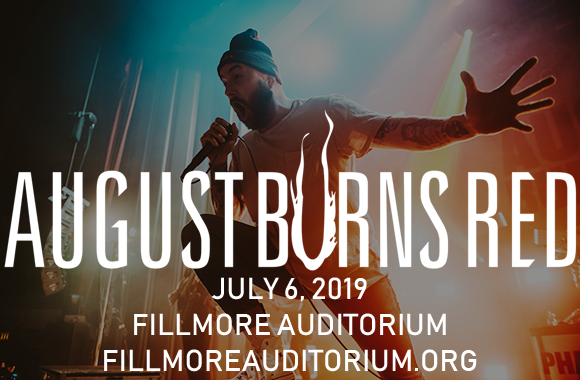 August Burns Red are headed to Fillmore Auditorium on Saturday 6th July 2019, and it's gonna get heavy! This year, the Grammy-nominated metalcore outfit celebrates the 10th anniversary of its third album, Constellations, and they'll be marking the occasion by playing the album live in full! Joining the group in support will be Silverstein and Silent Planet! Formed in Lancaster, Pennsylvania in 2003, American metalcore band August Burns Red released its full-length debut album, Thrill seeker, in 2005. The band is currently comprised of vocalist Jake Luhrs, rhythm guitarist Brent Rambler, lead guitarist John Benjamin "JB" Brubaker, bassist and keyboardist Dustin Davidson, and drummer Matt Greiner. Over the years, the group has released eight full-length studio albums, two EPs, two live albums and sixteen singles, as well as two live DVDs. "Identity", a single from the band's 2015 album Found in Far Away Places, was nominated for a Grammy Award for Best Metal Performance, as was "Invisible Enemy" from their most recent studio album Phantom Anthem (2017). The group's most recent release is the 2019 EP Phantom Sessions.